The Stark Online: Has Jarvis Gone Rock? "No - but during the course of touring his last record he discovered that , with this band, he COULD rock & so he'd be a fool not to. (When the situation demanded it)." 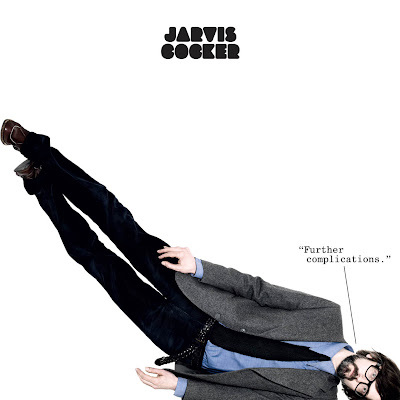 That's right folks, a new Jarvis Cocker record, this time produced by ace-rock-knob-twiddling-legend, Steve Albini. Fans of the softer side of Jarvis shouldn't fret though; this isn't a full on blasting rock affair. As Jarvis comments above, when the situation demands it, he brings the house. Further Complications was written as: "more of a group effort than the last one. So we had worked songs out in rehearsal rather than me delivering them fully-written & now I wanted to record them in an environment where we could all play at the same time & hopefully capture something of the spirit of a band all working together, all aiming in the same direction." Further Complications comes out May 19 via Rough Trade.